Gold Eagle Company offers an OEM Program to manufacturers for both our STA-BIL® and 303® brands. The purpose of our OEM Program is to help consumers learn how to properly care for the product(s) they purchase from you by introducing them to STA-BIL® or 303® Products. Our end goal is to build a strong, mutually beneficial partnership with the companies that join our OEM Programs. Increase customer satisfaction – the quality of your product is upheld time and time again. Reduce warranty claims – instruct customers to properly care for and maintain products. Literature pieces to educate your consumers on how to properly care for their purchases. Customer rebates to incentivize their first purchase of 303® or STA-BIL® products. Sample size products to include in the packaging of your products. Bulk 303® or STA-BIL® product to use during the manufacturing process. Promotional opportunities to reach additional consumers. Our engineering staff can serve as copy consultants, providing advice and content for your owner’s manual and literature. 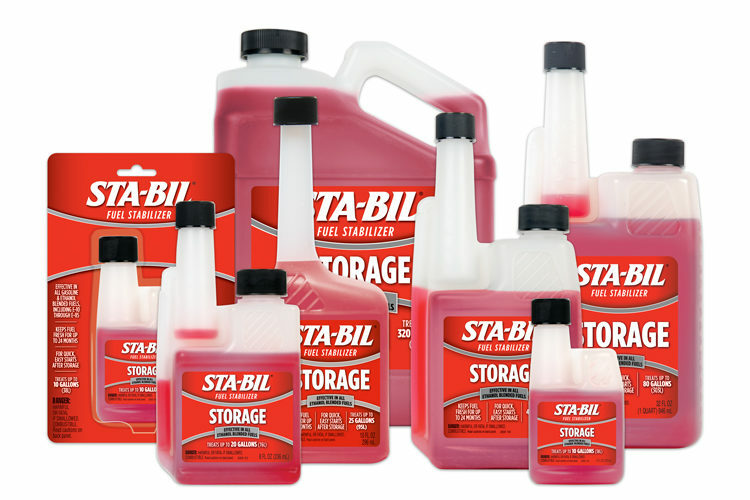 At Formula, we add STA-BIL to the fuel that we use in our test tanks, and winterize and fog every boat with STA-BIL-treated fuel.The fuel tank and fuel lines remain contaminant-free should the boat be shipped and end up stored at a dealership, a dry dock, wet slip boat yard lot for a period of time. When the boat is commissioned, we don’t want the fuel system to be an issue.